This is the Quest Lift-Off Launch Pad. 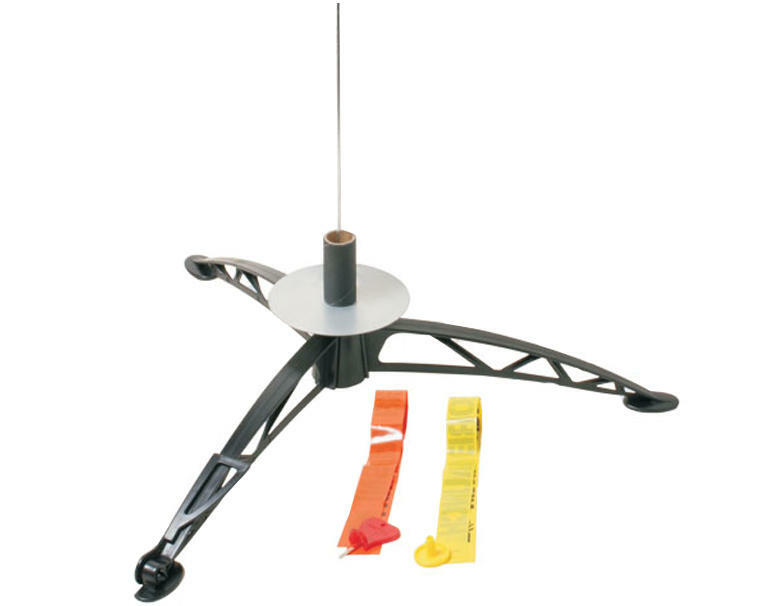 The Quest Lift-off Model Rocket Launch Pad features a 36" (91cm) two-piece launch rod, blast deflector plate, tilt adjustment, launch rod safety cap and wind streamer. 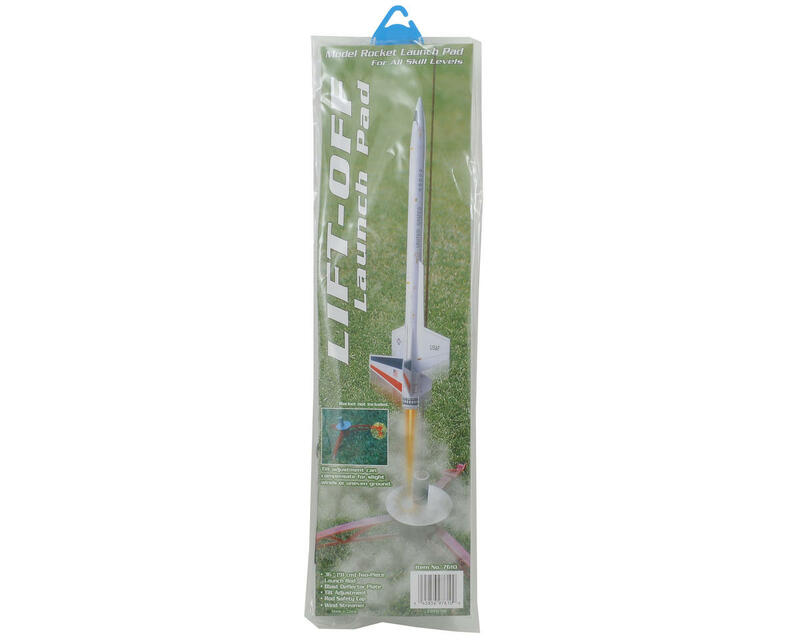 With it's wide base design and single-leg tilt adjustment, the Quest Lift-off Launch Pad is equally at home on rocky terrain or smooth grass. This is the same pad that is included with the QUS7700E Complete Launch System.